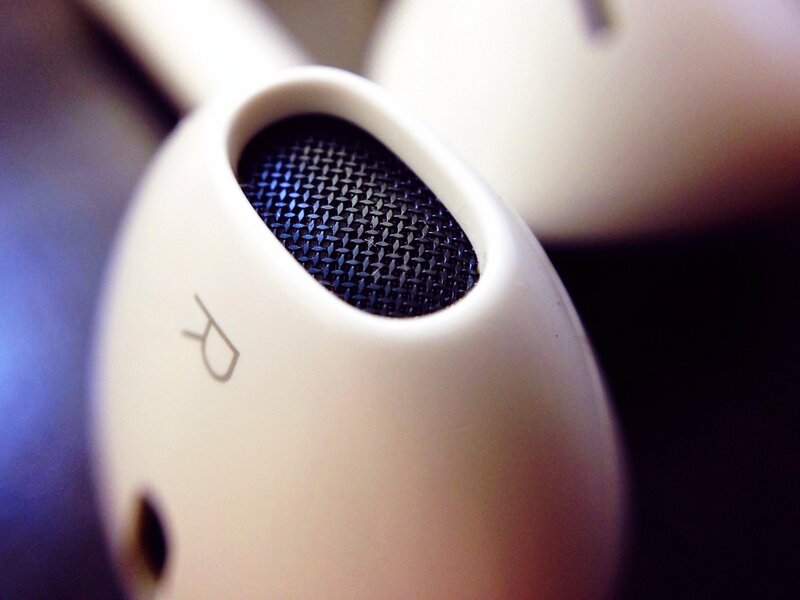 THERE’S A HEAP of hype surrounding Apple’s killing off of the 3.5mm headphone socket. Some Apple fans defended the move. Many citied the inclusion of a dongle that adapts a headphone plug to the iPhone’s Lightning port. Then there’s the inclusion of Lightning port-equipped buds in the box. Others are more critical. They say this is about charging license fees for Lightning port-equipped headphones. 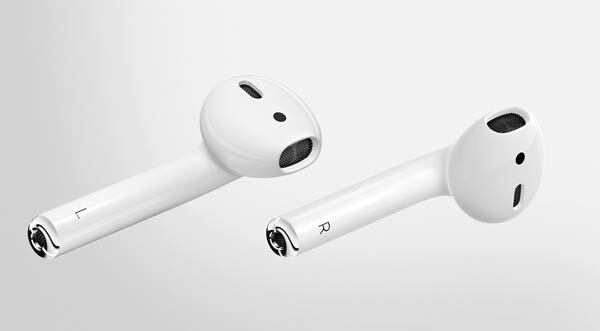 Debate aside, Apple are about to launch their wireless AirPods. While there is no wire between the cans and the iPhone 7, there’s also no wires between the left and right earbuds. When Apple said wireless, they weren’t kidding. If you’re a Trekkie, and Lt Ohura is your favourite character, the news is good. You can channel her look just by popping the AirPods onto your noggin. They’re sleek and futuristic looking – just like something out of a movie. While they work with Apple gear, they play nice with other Bluetooth gear. If there is one downside, it’s price. Two hundred and sixty nine dollars could buy a pair of high-end cans that offer far better audio. This steep sticker price means owners will have to be super-careful, as they’re easy to lose. There is no word yet on local pricing for replacement AirPods, but it’s likely to be a pain going forwards. Their distinctive look comes from their “legs” that point downwards. These house microphones that allow you to make or receive phone calls and utter commands to Siri. The microphones also filter out background noise, making conversations in noisy environments possible too. Apple have put a fair bit of thought into the AirPods’ usability. Pairing Bluetooth headphones can be about as much fun as getting kicked in the nuts, but Apple has made it easy: Removing the AirPods out of their charging case sees them powered on and connected, and there’s no fiddling about with pairing settings. 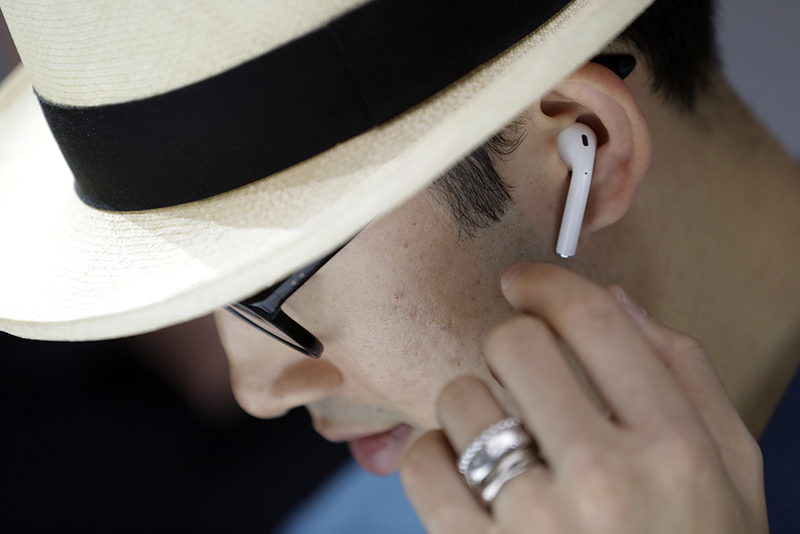 Like Parrot’s ZIK headphones, the AirPods will pause music if removed from your ears. Remove both of them and they’ll power down and disconnect. Apple has made a huge deal out of this and while it is nifty, it isn’t anything new. The big question with most cans comes down to this: Will they stay put once inserted? So far most reviewers are in the affirmative. This must come down to some clever design, as there’s custom no silicone ear tips bundled with them. Audio stuttered in environments with lots of wireless interference, but the prevailing consensus is that AirPods sound okay. They won’t rattle the fillings out of your teeth but bass gets hinted at. Clarity around mids and highs has attracted some criticism. Given their sticker price, audio clarity should be a given. One of the key considerations with any wireless ear gear is battery life, and Apple’s AirPods excel here. They delivered just over 4.5 hours, which is better than most other standalone Bluetooth buds. While this isn’t much use for long haul travellers, the charging case holds up to 24 hours of juice. The charging case will also prevent your AirPods from getting lost in your laptop bag.